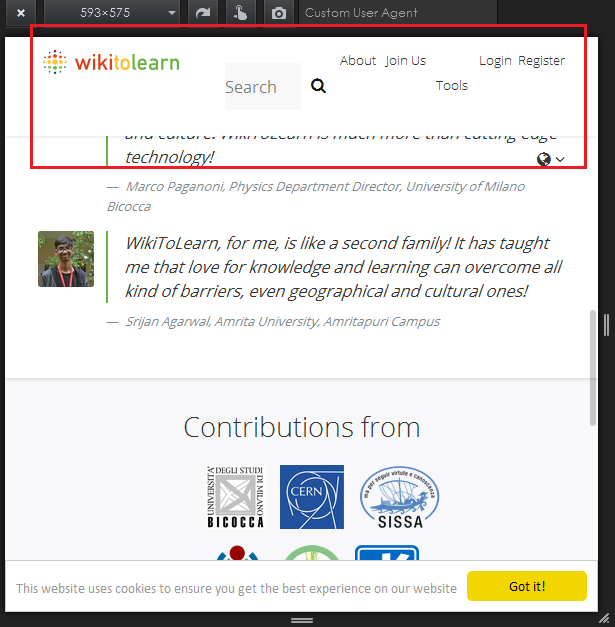 There's an issue with the top navigation menu of the homepage of the WikiToLearn website. The navigation menu items get disoriented on reducing the viewport to width less than 595px. The attached screenshots depict the issue. The navigation menu also flickers on hovering over the search box at viewport widths less than 589px. The issue has been encountered on a Windows 7 Ultimate PC running Mozilla Firefox 47.02.
crisbal edited projects, added WikiToLearn (1.0); removed WikiToLearn. 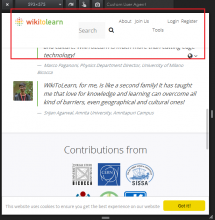 crisbal moved this task from Participation to Skin on the WikiToLearn (1.0) board.